We often hear about how we need to know our history before we can heal and move on; globally, nationally, and personally. But often that’s easier said than done. In an interview with the Calgary Journal, Erna Buffie explains that she wanted to write a book about her “mother’s generation of women”. I think a lot of them experienced great loss and great hardship during the period in which they lived, whether it was the result of the Depression or the Second World War, and a lot of them kept it a secret from their kids. I think we are all shaped by secrets we know nothing about, that have been kept by our parents or our grandparents. Those secrets shape who they become, and they indirectly shape who we become as well. Let Us Be True is an engaging story with a cast of complex characters about how the secrets we keep can have repercussions for years to come. A woman named Pearl Calder is at the heart of it all. Pearl has a painful past that she has kept hidden from her daughters, and chooses not to discuss with her husband. As a result, she’s an angry spitfire who is unpleasant to be around. Her daughters wonder why their father ever married her in the first place. The book starts with Henry fighting in the war, Henry witnessing the death of the boy Pearl loves. Henry knows a thing or two about Pearl’s life. She won’t be an easy woman to love, but he can’t think of anything else he would rather do. The sunset was a miracle of hot pink strata tonight, edged in yellow and mauve, blending into the wide open blue. She could see beyond the rooftops of town, to the flat prairie where her father had tried to scrabble out a living. Now lush and golden with crops, it had once been nothing more than blowing dirt. And the dust had settled over everything: their clothing, their food, her father’s heart. Pearl’s older daughter, Darlene, continues to grieve over her lost child as she makes a mess of her most recent relationship. Sometimes Darlene wondered if she had been carrying a son. Other times, she was convinced that the speck in her uterus had been a girl. She knew that she wasn’t supposed to have these thoughts. She was supposed to feel only relief. After all, she’d had no money. She had wanted to go back to school. What other choice had there been? But the grief was still there. It was always there, even though there was nothing she would have done differently. Pearl’s younger daughter, Carol, having made a different choice, had two boys and was married at a very young age. She was told by the doctor, “Quite the get-up… no big surprise you would end up pregnant“. Why hadn’t her mother been kind? Why hadn’t she been just a bit more sympathetic? Carol’s heart had been broken when Phillip left, but something else inside her had been broken too, and her mother didn’t seem to see that. She didn’t seem to care. All her mother had ever cared about was being right. Despite the distance and the anger and the hard feelings, Darlene and Carol find evidence of their mother’s heart in small things – an old love note from their father in Pearl’s wallet, items from the girls’ childhood in a dresser in the attic. And as the boiling mass of clouds overtook the sun, a sudden shaft of yellow light lit the fields and the trees below. 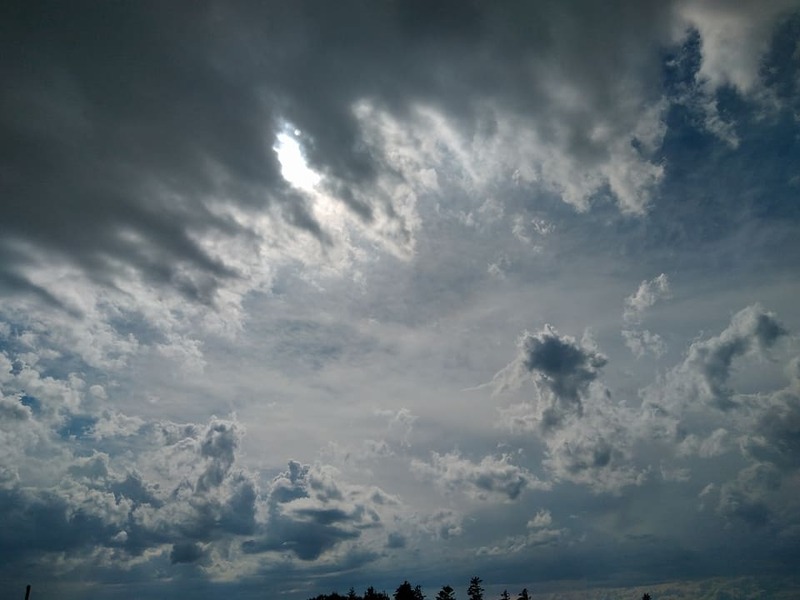 The sky rumbled, coughed, and a puff of icy air blew in through the open window. Then the rain came, intermittently at first, in fat single drops that splattered against the veranda roof below. Then in a clatter of hailstones the size of marbles and mothballs that bounced across its shingles. Finally in a torrent that slammed into the earth and blotted out the horizon. In her mind’s eye, Pearl could see the once plump seed heads at the side of the road blasted by the hail, sagging to the ground under the weight of the rain, taking with them the hopes of the farmers who had planted them. Despite the relief of the cool rain’s breeze, Pearl slammed the window shut and closed her eyes against the fierce splendour of the storm. This was why she had left this godforsaken place: because despite its wild and wide-open beauty, its sudden cruelty was more than any human being should ever have to bear. I feel there is more to say about this novel… I loved the parallel stories of the two pairs of sisters; Pearl and Winnie, Darlene and Carol… I thought the dialogue felt authentic… I felt especially moved by Carol’s character who seemed to just ache for someone to really see her and pay her some attention, yet seems to have given up on getting it (I would like to see Carol have her own book! )… I probably should have taken more notes while reading, but, really, I was too caught up in the story to take more. A wonderful book that deserves more readers. This was an excellent read. I passed it on to some colleagues and they enjoyed it too. It helps to understand people like Pearl that we meet in daily life. I hope more readers discover it! OK…I’m sucked in. Just got it on Kindle! Your picks are always treasures, Naomi! First, when I hear ‘Pearl’, I always think of Pearl Tull in Anne Tyler’s Dinner at the Homesick Restaurant. (Then, I think of Anne L’s cat. *raises eyebrows* Was she named for Pearl Tull? Surely not.) Secondly, your use of the term ‘spitfire’ in regards to this other, new Pearl makes me really want to meet her, all the more so because you were too busy reading to take notes – I love it when that happens (and, then, when I sit down to write about the book, I hate that it happened). In some ways Pearl reminded me a lot of Hagar Shipley, but their stories are not quite the same. The prairie setting is another similarity between them, though. Oh, yes, I keep seeing that book at the library but so far have avoided bringing it home! The reason I bought the Campbell book is because I **loved** her novel, Once Upon a River. This sounds great, Naomi. And like @BuriedinPrint, whenever I hear the name Pearl I, too, think of Dinner at the Homesick Restaurant! I loved that book! One of my favourite scenes was the one where Carol finds the diary she kept as a teenager — and there’s a note in it from her mother. What a pleasure to read these responses to your great review of the book Naomi. When you send a book out into the world, you never know what will happen or what the response will be. 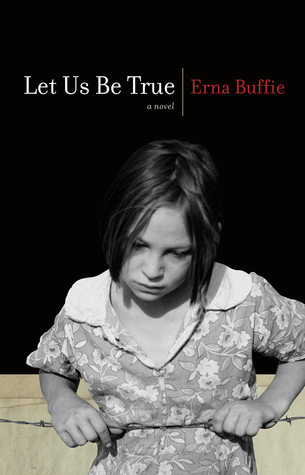 Some of my happiest times have been visiting with and talking to book clubs about Let Us Be True and hearing readers tell their own, often parallel stories, of family love and strife. It’s absolutely wonderful that you took so much time and care introducing my book to a whole new group of readers. This sounds excellent. I do think the generation who lived through the wars and depression have fascinating stories. sounds intriguing!!! the more blog posts of yours that I read, the more I increase my TBR list!!! thanks for sharing!